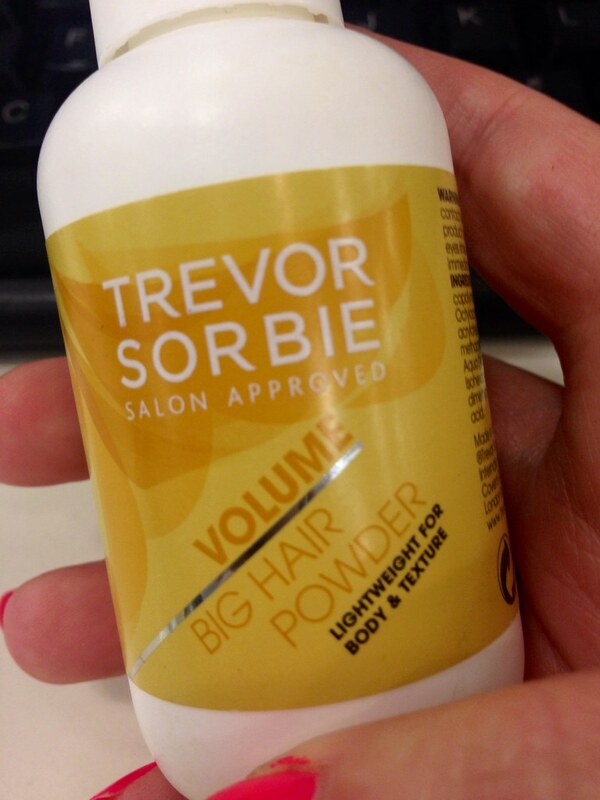 You have a mixed review from me today on Trevor Sorbie's Big Hair Powder. I say mixed as whilst the product works and I might use it again I'm not it's biggest fan but let me tell you why in some more detail. 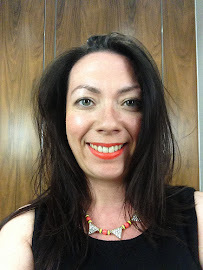 Usually I'm armed with Batiste Brunette Dry Shampoo to give my hair some oomph at the end of the day if I'm heading out after work but on this occasion I decided to reach for the big hair powder I received in a goodie bag some months back at a Trevor Sorbie event. First things first I'm a brunette so any white powder product is always going to leave me some cause for concern - I spend a lot of money dying my hair to hide the odd grey that shows up so well against my dark brown so adding extra is not needed. Unfortunately this powder did leave a grey-ish tinge in the roots. I acknowledge I may have been a little heavy handed but due to the texture it is difficult to work in. Brunettes beware but blondes - you're in luck. The texture of the product instantly made my hair feel tacky, literally like I had product residue left over from a previous styling experience which I did not like. As I mentioned this product was initally applied prior to heading out from work and I instantly panicked that instead of fluffing up my hair I'd reduced it to a lank greasy mess. Thankfully when brushed out it didn't look too bad as you can see in the pictures above (at least I hope you think it doesn't look bad) but it didn't quite give me the volume I had hoped and I spent most of the evening paranoid about the stickiness of my hair. The powder clings to your hair and really does create that matting effect so there will be no running your fingers through your locks whilst using this. I didn't think it would be fair to post a review after simply trying this out once, especially as I had learned a few lessons about my heavy application and looked for a few extra tips and tricks online so last night when I got home from work I went in for another try. 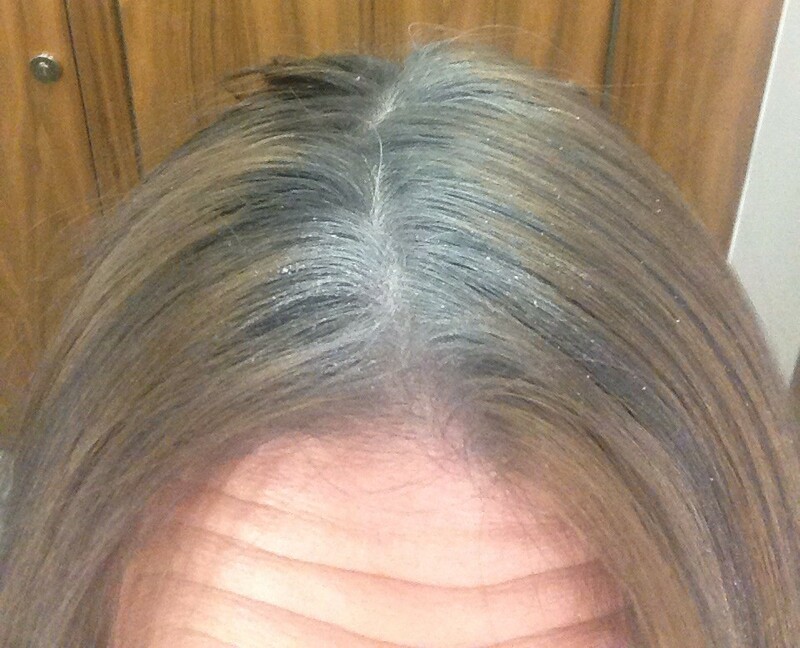 This time I popped the powder in sparingly and worked it through the hair at the root so that I would avoid my grey scalp - mission accomplished although I still felt it was obvious there was 'something' in my hair. Again there was the similar tacky texture and no running my fingers through my hair but on this occasion I really appreciated how much volume it applies. As I was in the safety of my home I was braver and really gave my roots a rub and scrunch and the volume from this product is pretty amazing and I imagine if I really gave some thought and attention to styling my hair with the powder I could achieve some amazing results. Similarly if I were looking to backcomb my hair and create a marvellous up do of some description this product would really come into its own and is definitely the product I'd use to help me out. 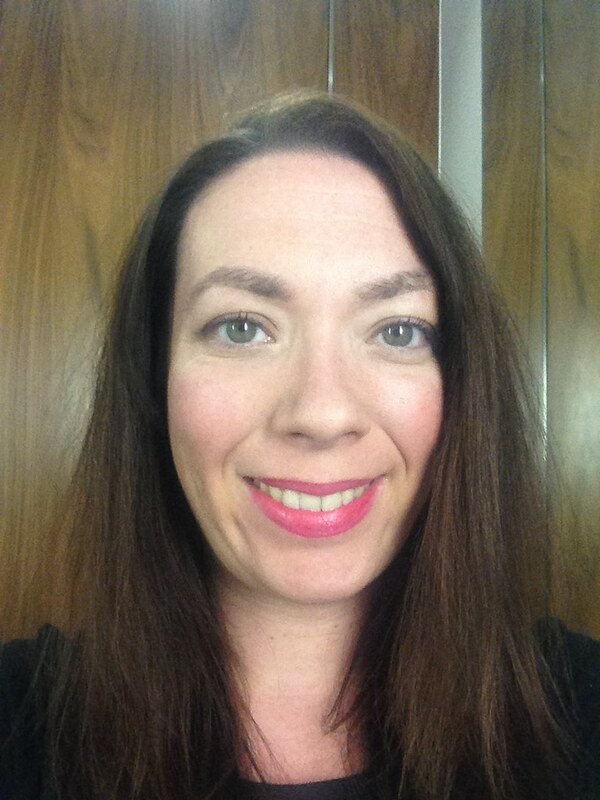 In fact when I was bored of creating volume in my hair I played around with popping it into a ponytale with some lift at the front and it worked very well compared to the usual scraped back look I rely on. I imagine using this product for styling your hair 'up' would actually help do a lot of the work and make things much easier for you. The other downside to this product it is really hard to wash out of your hair. A couple of days later and I'm still conscious of the sticky matted texture from the product and I even used an oil treatment overnight to help break it down but beware you will need to do some serious washing to get rid. So there you have it, for hair down I don't think is a product I'll be reaching for but I'd suggests the blondes amongst us give it a try and if I'm brave enough to tackle an up do this Christmas I'll definitely be reaching for the big hair powder and suggest you do the same. I'd love to hear if you've used this product yourself and what your thoughts on it were - am I going wrong or did you have similar experiences? I've never used this before as like you I am a Batiste girl for dry shampooing as spray is so easy to use isn't it. I am blonde so this wouldn't show up in my hair but I am not liking the sound of the stickiness & it not washing out properly.